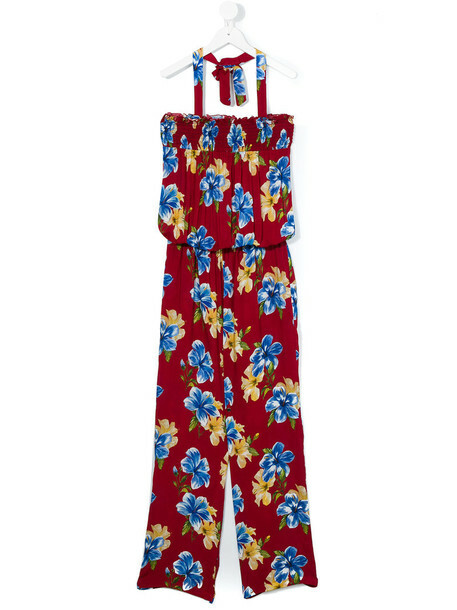 Red floral print halterneck jumpsuit from Lapin House. Size: 14 yrs. Gender: Female. Material: Viscose.